Lycaste orchids grow on tree branches or rocky outcrops and are a genus of about 50 species found in mid-elevation forests from Mexico through Bolivia. This Lycaste macrophylla is found from Nicaragua to Bolivia. The major factors that threaten its numbers are agriculture, logging, fires and the collecting of plants from the wild for horticulture. In Peru, where the artist found this plant, there is a push to increase tourism, leading to worries about its impact on local communities, and on cultural and natural treasures. Restrictions have been increased on visitors to the 125 square mile Machu Picchu Historical Sanctuary, a World Heritage Site that recently has seen 800,000 tourists a year. Hundreds of orchid species are found throughout the Sanctuary. One of many private companies attempting to mediate the effects of visitorship and have a positive impact on natural, social and cultural environments is Inkaterra’s Machu Picchu Pueblo Hotel, part lodging, part sustainable ecotourism destination, and part conservation organization. 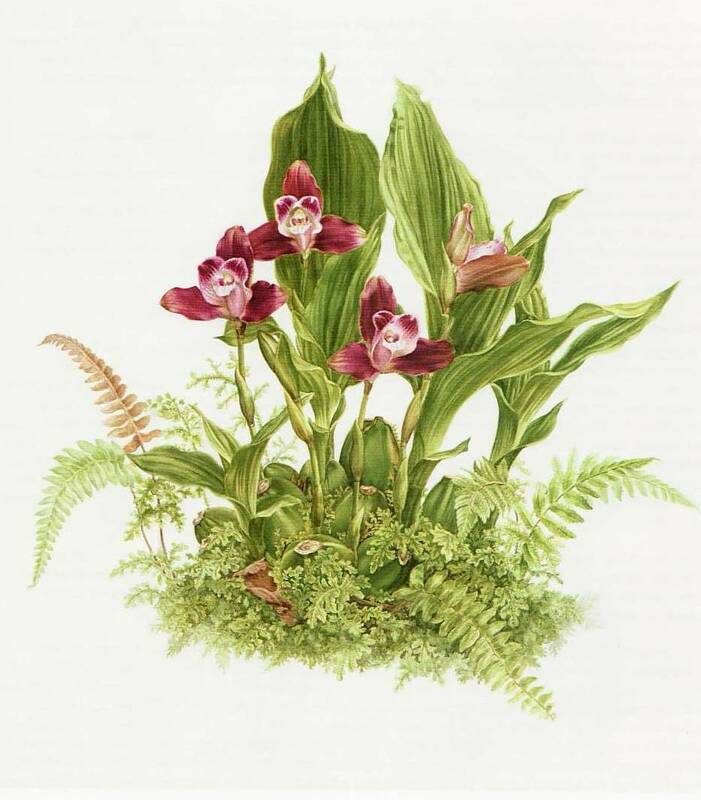 The plant depicted in my painting was grown in the Orchid Trail at Inkaterra Machu Picchu Pueblo Hotel, part of the Machu Picchu Historical Sanctuary. 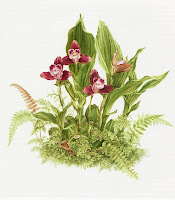 During my initial trip in 1997 I started sketching and painting studies of the orchids, to eventually return many times over the past twelve years. Lycast macrophylla interested me from the beginning and I finally completed the painting exhibited here in 2007.